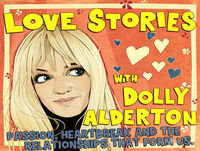 In this podcast series, author and journalist Dolly Alderton will be talking to guests about their most defining relationships: the passion, heartbreak, longing, familiarity and fondness that have formed who they are. The podcast is being released to tie-in with Dolly Alderton’s debut book, Everything I Know About Love which is out now in paperback with a brand new chapter: Everything I Know At Thirty. Dolly Alderton is an award winning journalist and bestselling author. She has a column in the Sunday Times and has written for publications including the Daily Telegraph, GQ, Marie Claire, Red and Grazia. She is the co-host of The High Low Show, a weekly pop culture and current affairs podcast, with Pandora Sykes and also writes for television.